If you're a hip-hop fan who hasn't heard of the Rolling Loud festival at this point in the game, you might want to completely re-evaluate your fandom. The premier music festival, which has been taking the rap scene by storm since its 2015 inception in Miami, has since expanded, with its latest installment going down this weekend in Southern California. In partnership with Rolling Loud, REVOLT TV is returning to exclusively livestream the monumental affair, with the festivities set to kick off Saturday (Dec. 16) and continue through Sunday (Dec. 17). The festival, which began as the brainchild of co-founders Tariq Cherif and Matthew Zingler, has officially announced its set times, with the festival taking place in the San Bernadino area, just outside of Los Angeles. 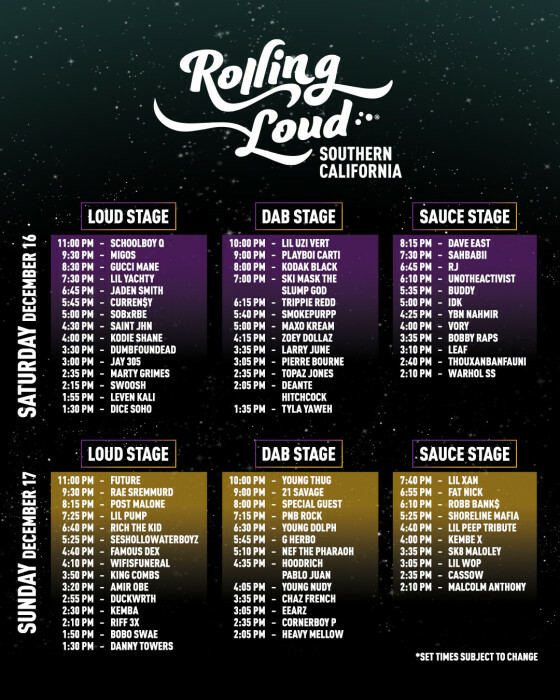 The livestream of Rolling Loud SoCal Day One will kick off today at 1:30pm PT and will continue through to midnight. Sunday was resume the same streaming schedule as well. Today's performances include the likes of Migos, Gucci Mane, Playboi Carti, Lil Yachty, Ski Mask The Slump God, Dave East, Trippie Redd and Jaden Smith, among over a dozen others, with hometown hero ScHoolboy Q proudly assuming the role of main headliner. Sunday will see a headlining performance from Future, with Rae Sremmurd, Post Malone, Lil Pump, Rich the Kid, Amir Obe, Famous Dex, Rich the Kid, Young Thug, 21 Savage, Young Dolph, PnB Rock, G Herbo, Lil Xan and more all set to perform. There is also one other special guest TBD. For more information, be sure to visit RollingLoud.com and keep it locked to REVOLT TV to watch exclusive backstage footage, on-site interviews and full performances via the official livestream, alove. 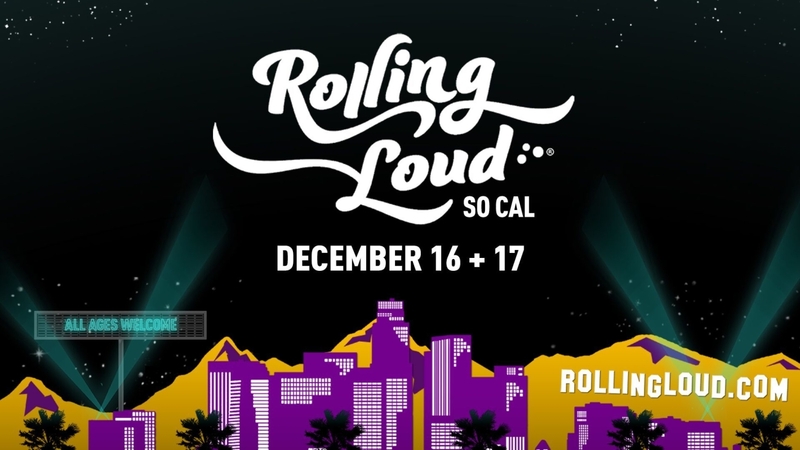 See the full line-up for Rolling Loud SoCal Edition below.